As a young adult, there was a period of time when I had a significant problem with asthma - which meant multiple inhalers & medications, occasional trips to the E.R., a round of allergy testing, and many years of allergy shots. For whatever reason, I more or less grew out of it, except that I will still get tightness and wheezing with a bad chest cold, when I laugh way too hard for way too long, and when I'm in a smoke-filled room. At least 16-17 years ago, I had several back-to-back episodes of asthmatic bronchitis. After multiple visits to the doctor, I was told that if I had one more episode, I had to see a pulmonologist. Well, that was enough for me - I did not want to go to a pulmonologist! So I decided to run out that very afternoon and buy several air purifiers. I placed one in the bedroom, one in the living room, and one in the kitchen. Voila! No more problems. I've continued running those very same units 24/7. And then this summer, one of them started making a rattling sound off & on. Over time, the rattling became more constant, and for weeks now, the motor has sounded like something is loose - and whatever has been banging around is rather loud. So I finally broke down and bought a brand new unit. Anything that has run faithfully 24/7 for that long deserves to finally be put to rest. After all, nothing lasts forever - not appliances, not automobiles (yep, I've had a few that I ran for close to 200,000 miles lol), and not programs at church either. Everything has a life span. For instance, we just started a brand new children's Sunday school curriculum, "Dig In" by Group Publishing, and so far there's a whole lot of excitement about it. There was nothing WRONG with the curriculum we were using before, but there comes a time when starting something new brings new life. So if you have friends and neighbors with children who have no church home, this is a perfect opportunity to invite them to church with you - I know their kids will love our new children's program! 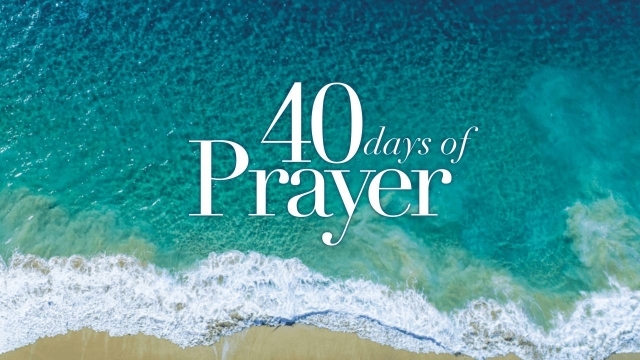 And on Sunday, we'll be starting a brand new sermon and study series - 40 Days of Prayer. I hope you'll join me for one of the study groups - Wednesday mornings at 10 am or Wednesday evening at 6:30. Don't you think it's time to put an end to our tentativeness about prayer and spend some time learning how to have vital and exciting prayer lives? I'm looking forward to the next 40 days!